This little hippo is just so cute! He’s part of a stamp set from My Favorite Things called Happy Hippos – and there are matching dies to go with it! The white frame is also from My Favorite Things and is part of the Stitched Circle Scallop Edge Frames Die-namics Set. To make the card, stamp the hippo, balloons, and hat with black ink on white card stock. Color the images with Copic markers and die cut the images. Attach a piece of pink patterned paper to a white card. 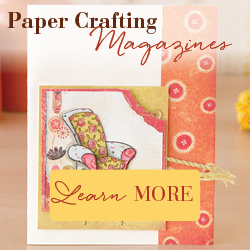 Punch a circle from green patterned paper and attach to the card. Die cut the white frame and attach over the green circle with foam tape. Attach stamped images inside the frame with foam tape. Stamp the sentiment with black ink on green patterned paper and punch with a scalloped oval punch. Attach to the card. The tiny “2” on the green balloon is from an old set by The Paper Studio. I stamped it with black ink on white card stock, punched it with a circle punch, and attached it to the balloon. You could easily change the color scheme to make this a fun card for a little boy. This little guy carried “tons of love” across the country to a precious little girl who holds my heart! This entry was posted in Cards, Stamping. Bookmark the permalink.